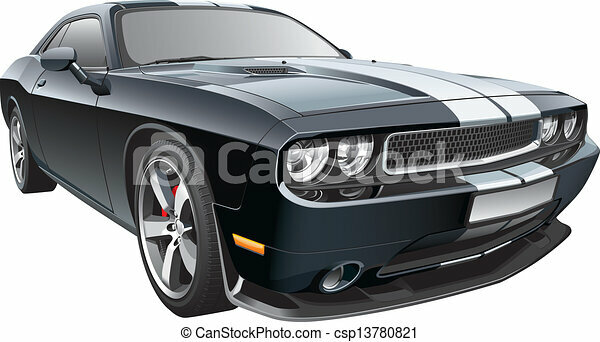 Detail vector image of black modern pony car with white racing stripes, isolated on white background. File contains gradients and transparency. No blends and strokes. Easily edit: file is divided into logical layers and groups.